It's an all-male celebrity line-up for the Amazon series. 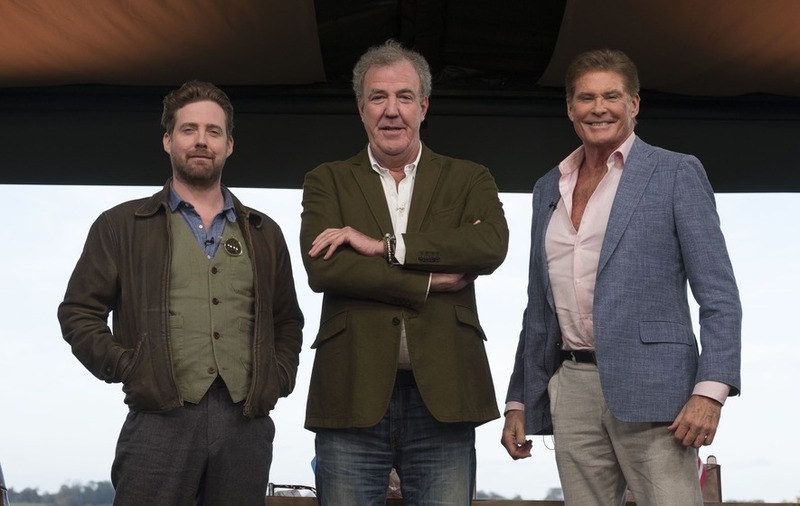 The Grand Tour has unveiled its celebrity guests for the show’s second series which will see stars pitted against each other around a track. Former England cricket captain Kevin Pietersen and actors Hugh Bonneville and David Hasselhoff are among those in the driving seat as the Amazon series announced an all-male celebrity line-up for its celebrity face-off challenge. Luke Evans, Kiefer Sutherland, Dominic Cooper, Dynamo, Rory McIlroy, Michael Ball and Alfie Boe are the other stars taking part in the new contest when the show returns next month. The first episode will see Kaiser Chiefs frontman Ricky Wilson take on his personal hero and former Baywatch star, Hasselhoff. Wilson said: “I’m fiercely competitive and whilst I don’t know the results yet, it’s OK if Hasselhoff beats me because he’s my hero. :: The Grand Tour returns to Amazon Prime Video on December 8.